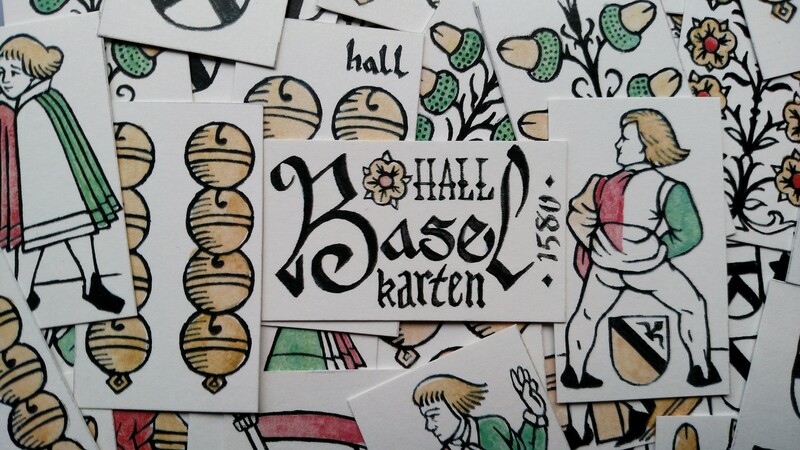 Found an uncolored sheet supposedly from Basel (in what is now Switzerland) dating to about 1580. If I’m translating correctly, the measurements of this pack are a mere 65 x 42 mm, making these cards unusually petite. It seems miniature playing cards in period may have been popular in some areas, so it seems appropriate to offer them amongst my wares. Swiss cards are related to German cards. Courts consist of a throned king, ober, and unter, followed by a banner X ten. Palettes are usually limited to three, a red, green, and yellow/orange. They have suits of bells and acorns. 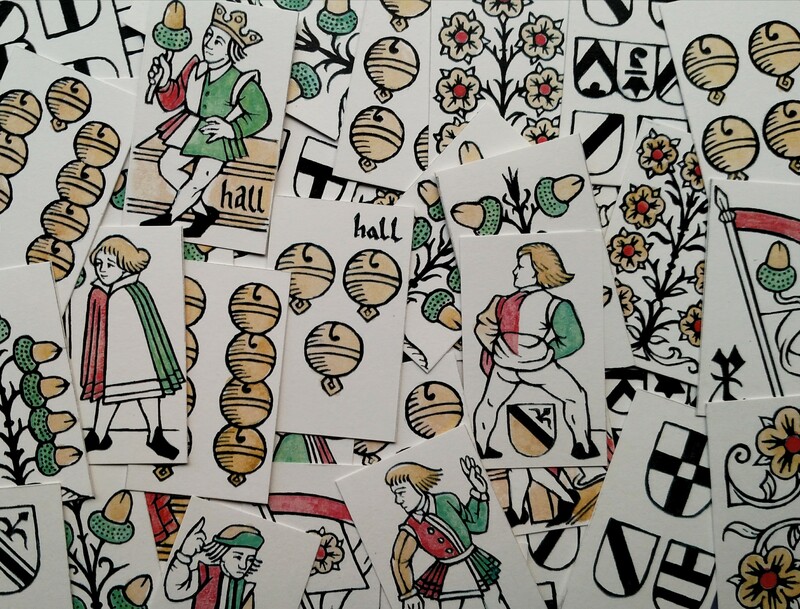 Here we find a difference, as Swiss cards replace German Leaves and hearts with shields and flowers. these suits are treated like their northern counterparts, as the acorns and flowers are depicted as growing from botanicals. Although I will print these cards consistent to the small size of the original, I may produce a slightly larger variation to represent more typical packs from the time. These will also feature traditional Germanic style backs.